There has always been a whiff of the Victorian about Graham Hancock. He presents himself as a scholar-adventurer, trekking like Richard Burton to strange lands at the ends of the earth and sending back to London reports about what is going on across the Empire. The Empire may be gone, but Hancock’s books have some of the same imperial ambitions and ethnocentric flaws. He began his fringe history career recreating Indiana Jones’s search for the Ark of the Covenant in The Sign and the Seal (1991), moved now to Ethiopia with more than a hint of Alan Quartermain’s hunt for King Solomon’s Mines, and a dash of the flair for propaganda he brought to his previous job working (not coincidentally) for Ethiopia’s dictator. In 1995, he channeled Ignatius Donnelly and essentially rewrote Donnelly’s Atlantis: The Antediluvian World (1882) as Fingerprints of the Gods (1995), the book on which he made his reputation. Hancock updated Donnelly with fresher falsehoods and cleverly avoided the name “Atlantis” in a failed bid for mainstream credibility. So indistinguishable is Hancock’s work from that of his Victorian predecessors that most readers of this review will not have noticed that in the preceding paragraph, the quotations I provided are not from Hancock’s book but rather from F. A. Paley and Ignatius Donnelly, both writing in the heart of the Victorian period, and both making the same case Hancock has come to propose as a fresh approach to solving the mystery of history. Indeed, Hancock’s suggestion found its first expression in the work of Sir Edmund Halley, who in the seventeenth century proposed a comet as the cause of the Noachian deluge that wiped out the antediluvian world. Donnelly turned the idea into his sequel to Atlantis, Ragnarok: The Age of Fire and Gravel (1883). Hancock’s Magicians bears more than a passing resemblance to Ragnarok, and given that volume’s general scattershot incoherence, the comparison is not flattering. And more’s the pity, because in most circumstances Graham Hancock is a compelling writer and in another age might have been a well-regarded middlebrow popularizer of archaeology and science. But the economics of publishing have destroyed much of the middlebrow market, and the fringe is a more profitable place to ply one’s trade. 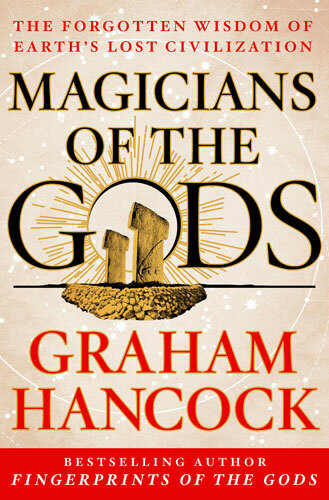 Speaking as someone who found Fingerprints of the Gods to be entertaining and engaging, even when it was wrong, I can say that Magicians of the Gods is not a good book by either the standards of entertainment or science. It is Hancock at his worst: angry, petulant, and slipshod. Hancock assumes readers have already read and remembered all of his previous books going back decades, and his new book fails to stand on its own either as an argument or as a piece of literature. It is an update and an appendix masquerading as a revelation. This much is evident from the amount of material Hancock asks readers to return to Fingerprints to consult, and the number of references—bad, secondary ones—he copies wholesale from the earlier book, or cites directly to himself in that book. Part of the problem, of course, is that Hancock is wedded to his Donnelly-inspired lost civilization, and the long shadow of its Victorian origins casts a pall over the new work. Thus, we find Hancock repeating Donnelly’s arguments even when they are uncomfortably Victorian and, frankly, more than a little racist, imperialist, and colonialist. We learn in Magicians, for example, that the lost race were white men with red beards, who came from the Caucasus region and spread civilization to all the little brown peoples of the earth. We learn that all of the non-white peoples of the earth mistook them for angels or gods, and that even the Jews thought of them as the Watchers and the Nephilim. By sheer coincidence, these masters of the universe, in addition to being white, also espoused values identical to those of modern Christians, with anything that seems too regressive or uncouth merely a remnant of indigenous superstition. Around 10,600 BCE fragments of a comet struck North America, touching off the Younger Dryas and destroying a technologically advanced coastal civilization populated by white men, who decamped to the Caucasus, bringing with them their astrological wisdom. They built Göbekli Tepe and similar stone circles to record the stellar coordinates of the comet and to foretell its return. The remnant of their civilization that survived the first impact did not survive the second impact, around 9,600 BCE, and the end of this civilization became known as the fall of Atlantis, remembered by Egyptian priests who gave the story to Plato. The few white men to survive spread out around the world, touching off megalithic cultures that blinkered archaeologists refuse to believe are as old as they are, and encoding in them astrological information that will foretell the next passage of the comet, sometime in our own era—between now and 2040. The Maya recalled this as the “epoch of 2012.” Most of the white men intermarried with non-white people and gradually vanished. Unfortunately, Hancock forgot to support or defend the idea that there ever was a lost technological civilization, or that they had the ability to calculate the period of comets. Indeed, if we were to remove the lost civilization entirely from Hancock’s Magicians, it would change very little. The argument given above is window-dressing on a book that wants desperately to make the case that a comet wiped out Paleolithic cultures and that this event was so traumatic that it left an echo in oral histories for 12,000 years. These are defensible positions, if not universally accepted, and would have made for a more interesting book than the one Hancock produced. Let us now look at some of Hancock’s specific claims, which are remarkably few given the years of preparation that went into the volume and its 444 page length. The book begins by contemplating the mysteries of the ancient stone circles of Göbekli Tepe in Turkey, the oldest known structures of their type in the world. This site is one of three that will be the lynchpins of Magicians and will serve as Hancock’s tools for making the case for advanced astrological knowledge in the deep past. This chapter bears more than a passing resemblance to the work of fringe writer Andrew Collins on the same site, and scattered references to Collins suggest that many of Hancock’s ideas about the site are borrowed, mostly without credit, from Collins. Hancock is particularly taken by the carvings on the buried T-shaped stones, stones which were intended to represent human figures. He notes bag-like carvings on one pillar and connects them to the handbags carried by Oannes, the Babylonian fish-man, and the famous carving of a serpent and a man on Monument 19 from La Venta in Mexico. One shudders to think what he would have made of the Hittite bursa had he known of its existence. Hancock recognizes that Oannes was a late version of the Apkallu, the Seven Sages of Mesopotamian lore, and he speculates that these civilizing sages are a memory of the supermen who lived in his lost civilization, hereafter to be called Atlantis, since in this chapter he finally concedes after many years that they are one and the same. We will return to the Apkallu much later, as part of this book’s unusual approach of introducing ideas, forgetting about them, and then resurrecting them after the reader has had time to forget. The Atlantis theme continues in the second chapter, when Hancock speaks with Danny Hilman Natawidjaja, the Indonesian geologist who declared the site of Gunung Padang on Sumatra to be ten or twenty thousand years old, and thus making Indonesia the cradle of civilization. Natawidjaja is a true believer in fringe history and suspects that Plato was speaking of Gunung Padang when writing of Atlantis. His opinions are noteworthy only because the previous government of Indonesia gave him the money and resources to excavate the site in search of proof of Indonesian primacy in history before the current government shut down the investigation for becoming an international laughingstock. Like Semir Osmanogich in Bosnia, Natawidjaja sees artificial layers of construction in the deepest layers of what his colleagues in Indonesia and archaeologists around the world believe to be a natural hill crowned with later ruins. The chapter concludes with Hancock reminding readers how much work he put into Fingerprints of the Gods and excusing that book’s mistaken conclusion that an earth-crust displacement destroyed the lost civilization. He now has a new theory, but he is silent on why he advocated in 1995 that Berossus, the Babylonian priest, had allegedly predicted the end of the world for May 5, 2000—probably because it comes uncomfortably close to revealing his threadbare methodology, and is too much of a parallel to the apocalyptic prophecy he’s planning to use to end this volume, in parallel to Fingerprints. The third chapter launches a new section, one devoted to proving that a comet struck the earth in the Younger Dryas period and was responsible for the Ice Age and for devastating natural disasters and climate change. Here is where the book begins to break down, much as Ignatius Donnelly’s version of the same argument broke down in the same place. Logically speaking, there is no reason to conclude from a comet strike that a lost civilization existed. Accepting Hancock’s claims at face value that a comet did hit the earth, that it caused apocalyptic devastation, and that the people alive in those days encoded a memory of that event into their oral histories, this does not require us to assume the existence of a high-tech lost civilization. Indeed, the evidence Hancock presented from Göbekli Tepe—that Stone Age people could plan and execute sacred structures without the usual trappings of civilization, such as farms—actively argues against the necessity of a lost civilization to explain it. Even Hancock’s astrological claims do not require a lost civilization were we to accept them as true. They require nothing more than sticks and ropes to calculate, and a rudimentary recording system, one Hancock himself concedes had been in place since stars were first painted in Paleolithic caves. Because of this, Hancock’s book breaks down into three competing narratives, which never really come together. The first narrative is that of the archaeology of a lost prehistoric civilization. He will return to this from time to time. The second narrative is the most mainstream, and least interesting, that of the comet that may have killed off the megafauna and caused the glaciation of the Younger Dryas. The third narrative is about the secret thread of wisdom associated with Hermes Trismegistus and the Nephilim, which he will introduce later. In his mind, these are all connected through the Nephilim’s megalithic high-tech wonderland, but he never quite brings these together to present a logical case for why these three narratives need necessarily be part of the same story. It doesn’t help that Hancock returns to his old tricks of relying on selective quotation and secondary sources. He begins the chapter by explaining that the Ojibwa have an oral legend about a comet descending to earth thousands of years ago and burning everything up with its radiation. He neglects to note that the version of the story he quotes is a modern one, influenced by current astronomy, and that the reference to a comet comes right after claims that Native Americans lived on the moon. Indeed, Hancock’s end note omits the author and the title of the article cited. Why is that? Oh, well, it’s because the author, Thor Conway (whom he cites by name in the text itself), was recording “Halley’s Comet Legends among the Great Lakes Ojibwa Indians” in Archaeoastronomy 8, nos. 1-4 (1985). Acknowledging this would undermine his case that the comet was from 10,800 BCE. The trouble with oral histories is that they aren’t literally true, and can easily mix and match elements from across time and space, created and recreated to serve the needs of the teller in that moment. There may be a memory embedded in the story of giant Pleistocene mammals, but it could also be a reflection of large skeletons seen in the ground, or even modern knowledge contaminating the story. In other words, it is not evidence by itself. Hancock compares Native American legends of the Flood and declares these hints of a post-comet tsunami, but he doesn’t seem concerned to separate pre-Columbian indigenous lore from versions told after Columbus, which were assimilated to the Noachian deluge story. The majority of the chapter, though, is given over to the story of J Harlan Bretz (yes, “J” was his whole praenomen), a geologist who argued that some natural features of Washington State were created by a catastrophic flood during the Ice Age rather than gradual erosion. Bretz’s claims were greeted with skepticism because he could not explain how such a flood might occur, and only gradually did geologists come to embrace the idea as geological knowledge developed and mechanisms to explain such catastrophic flooding became understood. Hancock spins this story as a tale of a valiant hero crushed beneath Hancock’s newest enemy: “uniformitarians.” In Magicians uniformitarianism—the principle that scientific laws and principles apply the same way over time—is the bugaboo that makes him boil over with apoplectic rage. Hancock has become a champion of catastrophism, and he therefore holds that uniformitarians are blinkered dogmatists trying to suppress the truth. He conflates uniformitarianism with gradualism, the belief that all that we see can be explained through the gradual working of known processes. But while Charles Lyell used both to explain geology in 1830, this simplistic notion hasn’t been the way practicing geologists have thought since around 1980. Hancock seems to be raging against his schoolboy textbooks—indeed, “textbooks” come up for criticism more than once in Magicians, not always by Hancock himself—without engaging with the current state of science. Since 1980, the scientific consensus has been that occasional catastrophic events, such as comet or meteor impacts or super-volcanoes, have interrupted the baseline of gradualism. In other words, Hancock’s preferred version of geology has been the standard scientific model since before I was born. Hancock derives his views primarily from Randall Carlson, an autodidact who holds no credentials but nevertheless advocates for extreme catastrophist geology, attributing nearly every feature of North America to floods created by a comet striking the Laurentian ice sheet of North America around 10,800 BCE—including my childhood home in the Finger Lakes of New York. But Hancock is a bit adrift in these two chapters, perhaps because he has no prefabricated model such as Collins or Donnelly to follow. He is on his own reporting on the most recent scientific research on the so-called Younger Dryas Impact Hypothesis, and his grasp of the science is tenuous enough that he doesn’t really try to explain or contextualize the arguments for and against the hypothesis that a comet struck around 10,800 BCE. Instead, he simply pastes in huge chunks of undigested scientific reports, quoting endless paragraphs of scientific verbiage with little to no attempt to explain for non-specialist readers what these arguments mean. I am not sure if Hancock meant to dazzle us with academic jargon or whether he simply had no words to explain what we were supposed to get from the abstracts, but I had difficulty understanding the complexities of the scholarly dispute over the geological indicators of a Pleistocene impact. Hancock comes down on the side of an impact (of course), and this is a defensible position, if not yet a scientific consensus. Hancock characterizes opponents of the hypothesis as “dogmatic uniformitarians,” despite the fact that few would doubt that an asteroid struck 65 million years ago and therefore would not be “dogmatic” about uniformitarianism. Hancock interviews one of the scientists working on the comet question, Allen West, who, in bits scattered throughout the book, reveals that he believes that his critics are not simply raising objections to test the validity of his comet hypothesis but rather are trying to maintain a dogma and avoid rewriting the textbooks—yes, the “textbooks” again! You’d think there was a textbook-industrial complex that made money by keeping editions in print rather than making their money (as in reality they do) by looking for excuses to rewrite the books each year and charge schools for updates and new books! Hancock does not disclose that West used to be named Allen Whitt, and he is a convicted criminal who was charged with falsely claiming to be a state-licensed geologist in order to charge high fees for water studies in California, according to the Pacific Standard. The long and short of it is that the comet hypothesis, if accepted, would argue that the onset of the Younger Dryas (the last ice age) occurred suddenly and catastrophically due to the comet, and it may have ended as quickly a thousand years later as the result of another impact. Is this relevant to a lost civilization? Only if one existed then, and so far Hancock hasn’t found any evidence of anything more sophisticated than the Stone Age stoneworkers already known to have lived in that era. Did they remember this event in their myths and legends? Maybe, or maybe not. Hancock doesn’t investigate deeply enough to demonstrate this conclusively, merely offering suggestive examples not dissimilar to when Donnelly claimed Phaeton’s ride in the sun chariot was a recollection of a comet impact. With the seventh chapter Hancock starts a new section devoted to ancient sages and their prophecies of doom. He does this by recapping what we just finished reading and then launching into the segment of the Avesta (Fargard 2.21-43) in which Ahura Mazda orders Yima to build a stone enclosure to hide the seed of every living thing from the approaching cosmic winter. Hancock notes the similarity to the story of Noah and the Ark, right down to the enclosure’s window, but denies the possibility of influence, this despite the fact that the demon of winter, Malkôsân, is a pluralization of the Hebrew word for rain, malkôs, as noted in the very edition Hancock quotes from. The story is a Persian adaptation of a Near Eastern story, just the same way later generations would adapt the Arab pyramid myth as a Persian one (al-Biruni, Chronology of Ancient Nations, p. 24). Hancock compares the Persian story to the flood myth in the Popol Vuh, a Conquest-era text, without exploring the possibility of Christian influence. He makes much of the idea that it is dark and rainy when there are storms and abstracts from that a universal memory of comet-induced cloudiness. He goes on to speculate about self-lighting windows and glowing stones as “lost lighting technology,” based not on original sources but Louis Ginzberg’s Legends of the Jews. In case you’re keeping score at home, the legend is an artifact of translation: The Hebrew word translated as the window in the Ark in Genesis 6:16, a feature of Mesopotamian origin (cf. the “air hole” in Gilgamesh tablet 11), was tzohar, an otherwise unattested word, prompting speculation that it was a glowing rock and not an actual window when rabbinical tradition decided that during the Flood even sunlight failed to reach the earth (Genesis Rabbah 25:2, 34:11). The claim derived from the similarity of tzohar to Zohar, or brightness. Hancock speculates that the Flood referred in actuality to the devastating climate change caused by a comet impact (pace, Edmund Halley) and therefore the underground cities like Derinkuyu in Turkey are bunkers carved to escape the harsh comet-created climate. Hancock chides archaeologists for having no evidence that the cities are Phrygian in origin (c. 800-600 BCE) but provides none of his own for dating them to 10,800 BCE. Approximate location of major places featured in "Magicians of the Gods." Finally, we start to get into some more interesting historical material. This chapter begins by recapping the story of Noah’s Ark and then speculating that Göbekli Tepe is in the same general vicinity of the earth as the mountains of Ararat, so it might have been the home of the antediluvian sages remembered as the Watchers and the Apkallu. This is one of Andrew Collins’s arguments, but you wouldn’t know it from Hancock, who credits him very lightly. Hancock reviews various versions of the Near Eastern Flood myth, which he knows mainly from popular midcentury books rather than scholarly editions of the primary sources. He speaks of the “late” Samuel Noah Kramer as both the most important authority on these texts and as recently deceased, though he has been dead since I was 9 years old and had retired more than two decades before that, in 1968. Scholarship has moved on since the 1960s, but Hancock has not. His source for understanding Sumerian literature is Kramer’s 1956 book History Begins at Sumer. I don’t wish to be as roundabout and repetitive as Hancock, so I will note that he restates what we previously read about Oannes and the Seven Sages (Apkallu), and he quotes the fragments of Berossus on the same (Eusebius, Chronicle 17-26; Syncellus, Chronicle 28-30), which he edits to replace references to Greek gods with Babylonian ones, thereby obscuring the fact that Berossus wasn’t simply summarizing Babylonian myths but was actively rewriting them for a Greek audience. He fleshes out the story with pieces of the Atrahasis epic, some of which he falsely attributes to the Epic of Gilgamesh because he didn’t recognize that N. K. Sandars’s Penguin version of Gilgamesh folded in Atrahasis material where the original was silent. He concludes the section by assuming that there is truth to Berossus’ account of the renewal of civilization following the Flood. From the Edfu texts he takes the legend that the gods arrived in Egypt from overseas and built the temples of Egypt in imitation of a lost original from the primeval land, a story he likens to lost Atlantis. He asserts that the gods, whom he identifies with the Seven Sages and later the Watchers, were privy to the precession of the equinoxes and used astronomical and astrological symbolism to encode the date of their arrival—the Age of Leo—in Egyptian monuments. He further states that religions change according to the stars, and various animals are worshiped according to the constellation against which the sun rises on the spring equinox, which explains why Islam is symbolized by the moon, I guess, and why the Greeks were sacrificing bulls during the Age of Aries. He goes on to repeat some claims about the precision of the Great Pyramid and its relationship to the measurements of the earth that were untrue when Charles Piazzi Smyth made them up in Our Inheritance in the Great Pyramid in 1864 to prove that God had ordained its construction as one of the pillars of wisdom. If anyone cares, the numbers don’t work nearly as well with modern measurements as they did with less accurate Victorian ones. Hancock stumbles into a contradiction he doesn’t realize is one. In discussing Göbekli Tepe he expresses doubt that anyone would build astronomically aligned stones just to bury them out of sight, as those temples were buried, but here he has no trouble accepting that the so-called air-shafts in the Great Pyramid targeted stars despite being sealed on both ends and invisible. Much of the remainder of these chapters recapitulates Fingerprints of the Gods and includes Hancock’s rage at various astronomers and Egyptologists, whom he accuses of a vast conspiracy to ignore him. He feels that Egyptology, a profession he considers fraudulent, dates monuments using only ancient texts, innuendo, and speculation and considers this an unscientific approach that produces bad results, except, of course, when he uses ancient texts, innuendo, and speculation to do so. He must be particularly enraged that both Herodotus and the Egyptian priest Manetho agreed in their ancient accounts that the fourth dynasty pharaoh known to us as Khufu built the Great Pyramid. He would like us to accept various semi-mythical accounts of prehistoric semi-divine pharaohs as truthful. He goes on to re-litigate his contention from Message of the Sphinx (1996) that there is no proof that the Sphinx was built by Khafre (he is right that there is no direct proof), and he takes potshots at Wikipedia, which he considers the most important source for public perceptions of Egyptology. Like most fringe theorists, he is mad that he can’t edit Wikipedia to make the Sphinx 12,500 years old. Breaking the connection between the Sphinx and Khafre, however, does not imply the existence of a lost civilization, unless one accepts the water-erosion hypothesis, which only fringe geologists like Robert Schoch do. By the eleventh chapter, Hancock is again building on Edfu Building Texts’ claims of a primeval homeland of the gods and various Egyptian references to the books of wisdom written by the god Thoth, later identified with Hermes Trismegistus. Hancock tries to use medieval Arabic texts to support the idea that the Egyptians had advanced technology, but he screws up the material out of ignorance. He quotes John Greaves’s 1646 partial translation of a manuscript about the antediluvian origins of the pyramids passing under the name of Ibn ’Abd al-Hakam and assumes that it is from the ninth century because he Googled the name and identifies this al-Hakam as the ninth century historian in whose surviving works the text does not appear. It’s probably a misattributed copy of a text similar to the Akhbār al-zamān, the oldest surviving version of the story, itself misattributed to al-Mas‘udi. Hancock is particularly taken by the “weapons that cannot rust [and] glass objects that can bend without breaking,” as well as moving statues, placed in the pyramids (I quote from the Akhbār), and he suggests that these are lost antediluvian technologies. They are standard wonders, and the bendable glass occurs in Greco-Roman literature (Petronius, Satyricon 51; Pliny the Elder, Natural History 36.66; Cassius Dio, Roman History 57.21), from which it was almost certainly borrowed by the Arabs. Like most “wonders,” it is a literary device created by magically inverting the property of an object. Anyway, Hancock takes at face value Egyptian literary references in the Middle Kingdom Westcar Papyrus to a lost inventory room at Heliopolis, which Khufu allegedly sought. The papyrus tells fairy stories about magic in the time of Khufu, and the tale in question, the fourth of five on the papyrus, is actually a post hoc prophecy of the Fifth Dynasty, telling how only those kings would be able to find said room. Hancock wonders if it means Khufu got the plans for the pyramids from a lost library. The section concludes with a long recapitulation of material from Fingerprints of the Gods, Message of the Sphinx, and especially The Mars Mystery on ancient peoples’ veneration of meteor fragments. Strictly speaking, this has nothing to do with a lost civilization or a Pleistocene comet, but for Hancock it is “suggestive.” He compares meteorites to comets and both to the legendary Phoenix, associated in Platonic philosophy with the Great Year, a period Hancock would like us to identify as a full 25,920-year cycle of the precession of the equinoxes. This might be reasonable if we didn’t know that Platonists considered it to be 36,000 years, while Cicero said the number was unknown, Macrobius gave it as 15,000, and Aristarchus as just over 2,400 years. Syncellus gave 36,525 years. Plato’s Great Year was related to the sun and the planets (Timaeus 39d), not the movement of the stars. Hancock puts great weight on Solinus’ figure of 12,954 years (De mirabilibus mundi 33.13) as “one half of the cycle of precession calculated with more than common closeness.” Ha! I fooled you again: That quote isn’t Hancock’s but Gerald Massey’s in The Natural Genesis (1883), the Victorian book that has uncanny echoes of Hancock’s own claims, though I don’t believe Hancock ever read it, or at least has never cited it. Hancock should know, since he does cite R. van den Broek’s Myth of the Phoenix (1972) as his source, that the number isn’t precessional but derives from Hesiod’s 1,296,000 years and Plato’s (implied) value of 12,960,000 years, with the variant digit 54 instead of 60 deriving from a (presumed) refinement of the original calculation values for reasons too complex to explain here but found on p. 100 of van den Broek. As you’ve probably guessed, the book isn’t really much of an argument, and it doesn’t follow a very logical progression, looping back on itself, dropping threads, and picking them up again. In fact, in my advance copy of his book, an illustration of Baalbek’s ground plan is accidentally repeated twice in these chapters. Another new section begins here, this time focusing exclusively on the Trilithon at Baalbek, a set of three extremely large stone blocks, among the largest ever quarried on earth. Hancock’s argument in these chapters is particularly confused. Archaeologists believe that the Romans set up the Trilithon blocks to build a new podium for a temple to Jupiter, and Hancock concedes that the Romans could have done this with the technology available to them. He argues, though, that they did not because (a) the Trilithon “feels” older to him, (b) he believes archaeologists have mistaken as Roman material found beneath the Trilithon backfill added by the Arabs during restoration work, and (c) the Romans were too stereotypically Latin lazy to put in any extra effort to move big blocks when smaller ones would do. It is in these chapters that Hancock attacks me by name for recommending readers read a blog post by Aaron Adair discussing mainstream views of Baalbek, views Hancock will himself agree with before the end of the chapters. Many pages are devoted to reprinting an email exchange he had with Daniel Lohmann of Aachen University—and nothing is more entertaining than other people’s email! He devotes an unusual amount of space to attacking Zecharia Sitchin’s views on Baalbek, and the ancient astronaut theory in general, without realizing that Sitchin’s views were derived from the Soviet speculation of Matest M. Agrest. For a man whose primary publicity outlet is currently Ancient Aliens, it is an odd way of reinforcing his self-image of reasonableness. These chapters are meant to be the centerpiece of the book, but I’ll be damned if I can think of much to say about them since Hancock himself concedes that he has no evidence other than his feelings, and the Romans weren’t incapable of the work. Instead, I’ll note that Hancock, repeating material from Message of the Sphinx, uses nearly century-old research by Selim Hassan, an Egyptologist, to argue that Egypt and Baalbek were connected, resting on the foundation of the fact that the Canaanite underworld god Hauron was identified with the Sphinx. This is probably from much, much later times, when a Syrian work crew lived at Giza during the New Kingdom, and it is likely the origin of the Arabic name for the Sphinx, Abu al-Haul, the “Father of Terror.” Hancock prefers to associate all of this with the most ancient times, but the literary evidence is rather clear that Hauron entered Egypt in the New Kingdom and through his identification with the Sphinx turned that statue into a place of pilgrimage for Canaanites, remembered later by the people of Harran, the Sabians. Anyway, as we start a new section (there are a lot of short sections, for no particular reason), Hancock wants to tie all of this in with the Seven Sages, or the Magicians of the Gods, so he uses a Victorian idea that Baalbek was Phoenician as an excuse to cite the fragments of Sanchuniathon, a hodgepodge of genuine Semitic myth reconstructed under Hellenistic Greek influence. But he knows the material only from secondary sources and Cory’s Ancient Fragments, a book that, while influential, is occasionally outdated in its translations. Sadly, he misses all of the good parts of Sanchuniathon—references to what seem to be parallels to the Watchers and the Nephilim, and the importance of the same mountains where the Watchers and the Anunnaki lived. The only thing he takes from the material is that the Hellenistic author included a version of Thoth, i.e. Hermes Trismegistus. Ah, but the Sabians of Harran were nearby, and this is for Hancock a revelation. Arabic (Islamic and Christian) sources state that the Sabians traveled to the pyramids, which they considered the tombs of Hermes and his friends (Al-Maqrizi, Khitat 1.40, quoting Ibn Afir; Abd Al-Latif al-Baghdadi, Account of Egypt; Sibt ibn al-Jawzi, Mir’at al-zaman; Abu Al-Makarim, History of Churches and Monasteries folio 64b; most translated here). You see, Harran is located within spitting distance of Göbekli Tepe, so Hancock decides that the Harranians, who famously worshiped the stars, were not—as mainstream scholars have believed for centuries—the last descendants of Greco-Assyrian astrological cults, but rather were maintaining traditions inherited from the Apkallus-Watchers-Nephilim-Atlanteans who built Göbekli Tepe! While there have been a succession of cultures that have lived in the region for more than 12,000 years, there is no evidence that the medieval Harranians retained traditions going back 10,000 years, though there is much evidence that they followed Hellenistic Greco-Assyrian practices. Hancock implies that the pillars of Göbekli Tepe are the Pillars of Wisdom, and the lost race really the Watchers-Nephilim and Apkallu—claims lifted from Andrew Collins. He stops midway for a rant about the protective roof placed over Göbekli Tepe to keep the carved pillars from eroding in the rain and wind. Hancock says that it “feels” like this part of an archaeological conspiracy, a “travesty, and abomination, a masterpiece of ugliness,” and says that it “feels almost like” it was designed to divorce the ancient site from the stars so the public would not recognize the secret prehistoric “spiritual power” of the monuments and the danger they pose to traditional paradigms of history. Hancock follows the claims of Paul Burley, a fringe researcher who published an article on Hancock’s own website speculating that one (and only one) of the pillars at Göbekli Tepe depicts unfamiliar constellations near the galactic center as they would appear at the winter solstice around 1960-2040 CE. To accept Burley’s ideas is to imagine a whole astronomical system we can’t prove existed based on the concept of “looks like therefore is” in terms of randomly spinning the sky and looking for similarities. I don’t see it myself, particularly since accepting this claim would preclude Hancock from arguing that the modern constellations used in the zodiac and astrology have been recognized for 12,000 or more years. Indeed, Hancock simultaneously argues that the ancients had radically different constellations and that they also used the same stars as our modern constellations, but which crossed and combined current houses of the zodiac. How does Hancock square these radically different constellations with his earlier assertion, based on the 1960s book Hamlet’s Mill, that the current houses of the zodiac dictate religious expression? He doesn’t. The contradiction passes unnoticed. The conclusion he draws from all of this is that the Maya, in signaling December 23, 2012 as a turning point in their calendar, were preserving a Pleistocene warning that the comet that triggered the Younger Dryas would return half a precessional cycle later, but because he has to somehow explain how his doomsday predictions for May 5, 2000 and December 23, 2012 in Fingerprints of the Gods passed without incident, he fudges the numbers and suggests that the Maya were too precise, and that the images of the stars on the Göbekli Tepe pillar can’t be fine-tuned more closely than 1960-2040. This buys him 25 more years to promote his claims before being exposed again as wrong. 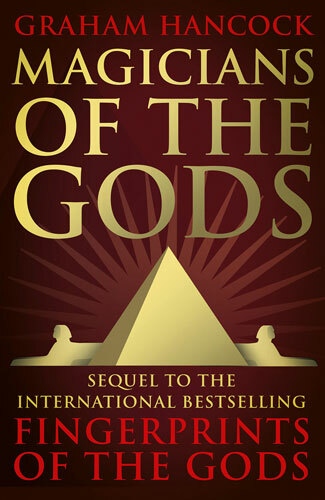 I will note in passing that at the end of chapter 15, Hancock mentions Andrew Collins—who would seem to be his major inspiration—but disagrees with him that other stellar correlations with the Göbekli Tepe pillars are possible on the grounds that those alignments could not be seen from the site itself due to land form. Ha! If we take that as the standard, then the “air shafts” of the Great Pyramid couldn’t be aligned with stars since they were sealed off, and there would never have been a conceivable observation point to see the whole of Giza aligned with Orion—which, in Hancock’s view, was laid out to target an imaginary, calculated view of the prehistoric sky, not the one the Egyptians really saw! Live by the sword, die by it. This chapter returns to Harran because Hancock hasn’t finished with it yet and somehow finds writing in circles makes his scattershot claims “feel” more unified. Hancock places great weight on the Sabians of Harran worshipping “the stars” and seeing the pyramids as part of that worship. What he leaves out is that the Harranians didn’t mean the same thing Hancock does when they said “stars.” They meant the wandering stars--the planets—not the sphere of fixed stars. But never mind, for here Hancock decides to go hunting for Nephilim, in a way. Hancock becomes aware—from a secondary source—of Abu Ma‘shar, the ninth century Persian astrologer who wrote of Hermes Trismegistus from Late Antique Christian chronographic sources, specifically the lost chronologies of Panodorus and Annianus, preserved in part by George Syncellus. (The reasons we know Abu Ma‘shar’s sources are complex; suffice it to say later writers’ excerpts and summaries allow us to reconstruct his sources; the relevant text is here.) Hancock is taken by the notion that Idris, Enoch, and Hermes are the same person in Islamic lore, but he examines Abu Ma‘shar’s sources not at all, and misses the fact that this is no independent revelation but part of a continuum of texts on the Watchers, the Nephilim, and Hermes that stretch from the Book of the Watchers incorporated into the Book of Enoch straight through to the Late Antique chronologers and on to medieval and early modern Hermetic lore. It’s a fascinating story on its own—one that has taken me years to assemble, and one of which Hancock has only the faintest inklings. Because he emphatically does not know the primary sources that document the gradual evolution of the myth, he sees its terminal points—Arabic Hermeticism, Jewish esoterica, and Freemasonic rituals—as different strands of a secret cult of Atlanteans rather than a 2,000-year-long game of telephone with each successive generation slowly changing the story. To that end, I have made available the world’s largest repository of primary sources on the Watchers and their antediluvian wisdom so anyone in the world can see how the story evolved, as well as a collection of medieval pyramid lore where Abu Ma‘shar’s influence can be traced. I am disappointed but not surprised that Hancock doesn’t seem aware of the tradition tying Hermes-Enoch and the Watchers directly to Egypt, though he knows something of the ties between Egypt and the antediluvian wisdom writings (Josephus, Antiquities 1.68-71; Pseudo-Manetho preserved in Syncellus, Chronicle 41). If he were half the researcher he pretends to be, he’d know that his argument was made by Eutychius in his Annals around 920 CE: “Therefore they who say that the angels descended to the daughters of men are in error, for the substance of angels is a simple substance, nor can their nature be used for sexual acts. However, man, and equally all having life, has a complex substance, whose nature has a sexual use” (my trans.). That’s why medieval people were so sure the Watchers were really the godly Sons of Seth, a hypothesis nearly 2,000 years old (Africanus, in Syncellus Chronicle 19-20; cf. Josephus, Antiquities 1.72-73) and one Hancock doesn’t know, fancying himself smart for having thought up on his own (well, on Andrew Collins’s own) the idea that the fallen angels were really a lost tribe of humans. Hancock’s ignorance shows when he cites Bar Hebraeus to prove that Harran was founded by Cainan, who in Jubilees 8:3 found the writings of the Watchers inscribed on rocks. Hancock misses the chance to “prove” that the Watchers were also the antediluvian kings of Babylon because he’s never read Bar Hebraeus and doesn’t realize that Bar Hebraeus (Chronography 1, pp. 4-6) applied Berossus’s antediluvian king list to the kings of the Sethites before the Flood, concluding with Xisuthrus, the Flood Hero! For those keeping score at home, Bar Hebraeus got the idea from Abu Ma‘shar’s reports of Annianus’ Late Antique Christian chronology, which as we know from Syncellus, used the Book of Enoch as a historical source. None of these medieval texts is therefore an independent confirmation of anything that really happened in the ancient past. Because Hancock doesn’t know anything about that, he instead devotes a large amount of space to debunking Zecharia Sitchin’s claims about the Nephilim as alien hybrids by quoting chunks of Mike Heiser’s work on the same. He decides that the Nephilim were not necessarily physical “giants” but rather intellectual giants. He suggests that they gave rise to the star worshipers of Harran, whose holy book he wrongly concludes was the Greek Corpus Hermeticum translated into Latin by Marsilio Ficino in the fifteenth century. Hancock seems unaware that the modern Corpus Hermeticum is simply a selection of Greek texts of use to alchemists and is neither all of the extant Hermetic texts (it omits the Asclepius, the Stobaean fragments, and the Arabic Hermetica, for example, the first two of which are typically included in modern editions), nor necessarily the mystical Hermetic texts used by cultists in Antiquity. But what else can we expect from a man who doesn’t know that the Victorian English translator of the Corpus, G. R. S. Mead, introduced Theosophical terms into the text, and who seems to think that its next translator, Walter Scott, is the Scottish romantic novelist. He does not seem aware of the modern translation of Brian Copenhaver. At this point, Hancock seems to become aware that he has devoted more than 350 pages to only a handful of claims, so he hightails it to South America to repeat material from Fingerprints of the Gods and Heaven’s Mirror, both of which he quotes and cites repeatedly. His argument remains unchanged: Archaeologists falsely attribute Andean works to the Inca, who could not have built them in the scarce few decades of their empire (1438-1533), ignoring the fact that the Inca had lived in the Andes since the 1200s, and long before they expanded into an empire. He again bashes archaeologists, this time for not using “stylistic dating” to link Inca sites to the Pleistocene cyclopean architects. He also assumes that the Inca and their predecessors pre-planned the exact shape of every block used in fortresses like Sacsayhuaman (now spelled Saksaywaman) like “huge three-dimensional jigsaw puzzles” rather than, as archaeologists suspect, roughly planning general forms and then shaping them in place to exactly fit the previous layer. He relies on Sir Clements Markham’s 1910 book on the Incas of Peru to “prove” that Sacsayhuaman is not Inca in origin. He also thinks that the pose of the idols at Tiwanaku (Tiahuanaco) is too similar to that of the T-shape ancestor pillars of Göbekli Tepe to be a coincidence—both have their hands on their chests and wear belts. Also at Tiwanaku he restates his belief that Pleistocene mammals are carved on its monuments, a claim he first made in Fingerprints. He compares what seems to be a stylized puma to a toxodon (though it looks more like a triceratops) and imagines he sees elephants on the Gateway of the Sun. This argument is rather complicated, but in a photo of the gate, Hancock notes that two stylized condors are divided by a line on one side of the gate, but on the other side the dividing line between the matching pair of birds is absent, suggesting an elephant’s head when we imagine how a 1980s arcade game would depict an elephant. I checked a range of historical photographs, and the dividing line is quite clear in the nineteenth and early twentieth centuries before lightening some recently. In fact, in one photograph, the present and absent lines appear reversed—due to the lighting. It looks like a case of erosion and lighting, not Lost Ice Age Mammals. The two "elephants" with distinctive dividing lines, as seen in an early photo from the Library of Congress. This chapter repeats parts of chapter 13 of Heaven’s Mirror concerning the mysteries of Easter Island, which he connects to South America on the strength of Thor Heyerdahl’s Kon Tiki voyage. The funny thing is, today’s most scholars assume the influence went the other way—that Polynesians reached South America. Hancock doesn’t cover this interesting case of actual diffusion and instead argues that the Tiwanaku and Easter Island statues are very similar, that they both feature beards of the kinds Polynesians and Native Americans can’t grow (evidence to the contrary notwithstanding), and that archaeologists can’t prove that the moai of Easter Island aren’t actually Pleistocene in date and merely recycled during historical times. Hancock quotes Robert Schoch as saying that we don’t know where the Easter Islanders got the rock to make the moai, and therefore the statues must be Pleistocene, from the time when basalt formations were above the waves. Since we can see unfinished moai still in their quarry atop the cliffs above the volcanic Rano Raraku crater, I can’t imagine how this argument even begins to make sense. Hancock comes close to declaring the lost continent of Mu real when he argues for “the theory of a great Pacific continent from the fragments of which Polynesian civilization emerged.” No, wait… That quote was from Lewis Spence, writing in The Problem of Lemuria back in 1932. Hancock simply repeats an argument first put forward before plate tectonics was understood (“Easter Island was once part of a much larger landmass,” he writes) and updates it slightly by imagining an archipelago rather than a continent, where his lost white race once worked high-tech magic and wonders before drowning and getting replaced by brown people who could only squat in their ruins. Indeed, Hancock cannot imagine that the Easter Islanders developed writing on their own (“unprecedented,” he says, for a small population to do so), so he suggests that only a large landmass with a lost (white) civilization could have bequeathed writing. Modern reconstructions of the Ice Age world show no lost Pacific landmass near Easter Island. Such was all-knowing Hermes, who saw all things, and seeing understood, and understanding had the power both to disclose and to give explanation. For what he knew, he graved on stone; yet though he graved them onto stone he hid them mostly, keeping sure silence though in speech, that every younger age of cosmic time might seek for them. And thus, with charge unto his kinsmen of the Gods to keep sure watch, he mounted to the Stars. Had Hancock investigated a little further down in the Kore Kosmou, he’d have seen that Isis and Horus “learned from Hermes that surrounding space was filled with daimons, and graved on hidden stones [the hidden teaching].” Those stones are in the original Greek stelai, the word used to describe Enoch’s Pillars of Wisdom in Greek literature. Once again, Hancock’s own refusal to engage with primary sources in depth leads him to miss important points. Hancock asks whether someone worthy to read the lost books of Hermes will finally be born. I guess it isn’t him. The book has a final new section for this lonely chapter that asks us to imagine how future generations will remember our civilization after it collapses. He summarizes the arguments of the preceding eighteen chapters and reminds us that universal themes in mythology (such as animal-headed humans, fish-people, serpent-people, etc.) are not the result of universal tendencies of the human mind in altered states of consciousness but rather intentional symbols connecting cultures across time and space. He believes that mythology, architecture, and astrological alignments “are an attempt, using the precessional code, to send a message to the future.” That message is that the Younger Dryas comet (which he not so subtly code-names Phoenix) destroyed the earth at the start of a precessional cycle c. 10,935-10,635 BCE and will return halfway through the cycle. “If I understand the message correctly, we’re in the danger zone now and will be until 2040.” He asks if he is reading too much into ancient monuments and folkloric fear of comets, but he concludes that “there is danger”—fortunately, danger that is 25 years in the future this time, so he will not have a repeat of his mistake in Fingerprints of predicting doomsday for just five years into the future. The book draws to a conclusion with a final section restating Hancock’s belief that academics are in “a conspiracy to hide unpalatable truths.” Archaeologists, he says, do not want the truth about Atlantis (or whatever he’s calling it nowadays) exposed, lest it threaten… Textbooks? Funding? Paradigms? I’m not sure. Allen West, the comet scientist who is upset with unchanging textbooks, also says that NASA is hiding the truth about comets, meteors, and asteroids to avoid public panic and to prevent having to spend part of their budget on protecting the Earth. Hancock has hated NASA since his 1998 flirtation with the ancient astronaut theory, The Mars Mystery, in which he accused them of a vast conspiracy to hide the truth about the monuments of Mars, and his vendetta continues here. So far as we can judge, after every cataclysm the world has risen to higher levels of creative development. […] Establish spiritual relations. Matter is not everything. You do not deal in certainties. You are but a vitalized speck, filled with a fraction of God’s delegated intelligence, crawling over an egg-shell filled with fire, whirling madly through infinite space, a target for the bombs of a universe. […] And from such a world God will fend off the comets with his great right arm, and the angels will exult over it in heaven. The words change, but the song remains the same.